Exploring the world of the French language has been enjoyable and enriching this month. 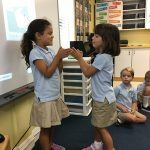 Younger students have brought fresh enthusiasm and energy into our classes with creative welcome songs, and their interest in French has been sparked with fun, interactive games. 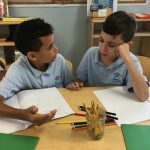 The children have particularly enjoyed sharing their knowledge with their peers by teaching their classmates various lessons and concepts such as colours. 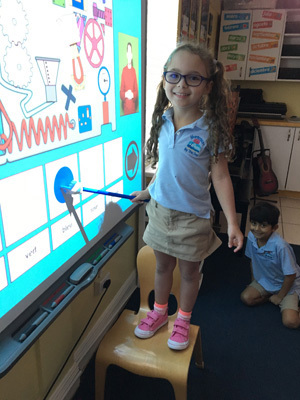 Older students have likewise enjoyed learning French through songs, hands-on sentence-building, and animated conversations. 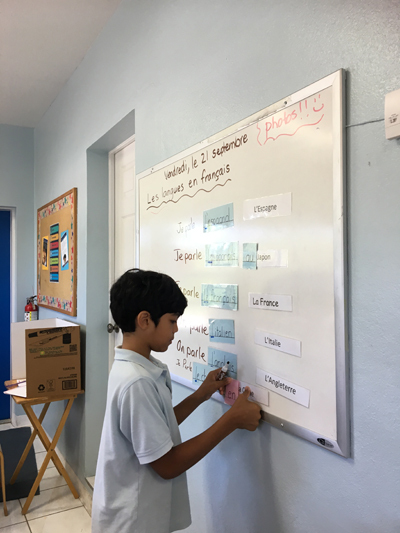 The latter activity is especially useful and engaging to our Upper Elementary students, who are able to apply their growing knowledge of sentence structure and vocabulary to relevant, practical conversations. 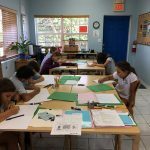 The Grade Six students have shown particularly admirable focus in their recent work, and they have worked hard to be able to describe their whereabouts in writing. 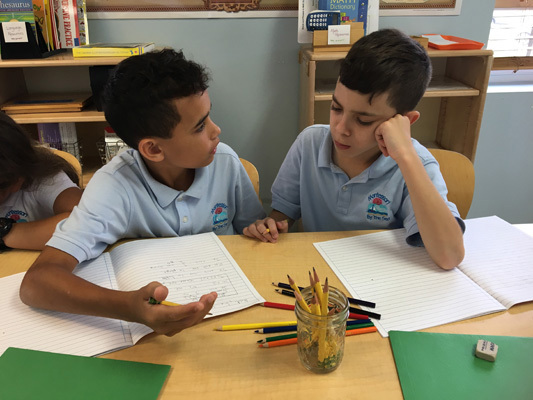 The school year has begun in fine form, and we look forward to a wonderful year in French! Fantastique! 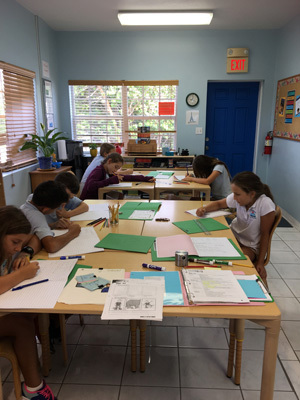 Our superbly focused French students getting creative, as they let their thoughts flow onto their cahiers, describing where they are. Allez les 6! 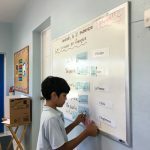 A student builds a sentence, in which he says and writes in which countries we speak certain languages. Deep in conversation, asking where we are in town. 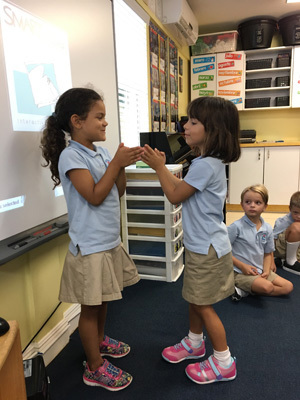 Starting our lesson with a creative French welcome song! Excellent, les filles! 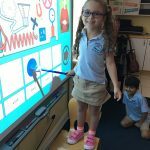 Teaching the colours in French! Fantastique!